A north-east red meat processing plant is under new ownership. McIntosh Donald at Portlethen, near Aberdeen, has been sold to Kepak Group for an undisclosed sum. Irish-headquartered Kepak has 16 plants in the UK and Ireland. 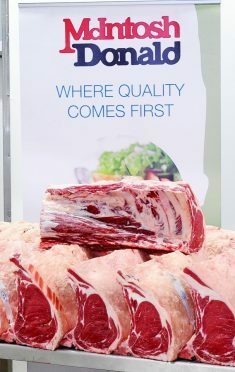 The sale forms part of a wider sale of the 2 Sitsers Red Meat Limited division, by Boparn Holdings, to Kepak. Three other sites included in the sale are located in Wales and Cornwall. NFU Scotland livestock committee chairman, Charlie Adam, said the sale demonstrated further consolidation in the UK red meat sector. He added: “Kepak Group has stated its desire to grow the business in the UK and collaborate closely with livestock farmers who supply existing UK sites.